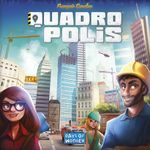 Days of Wonder: Are All Their Games Worth A Look? So, I made the statement "All Days of Wonder games are worth a look." Landstander told me to prove it. 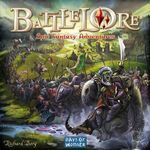 I have not played Battlelore. It is also based on the system that I am very interested in. I am not totally intrigued by the fantasy trappings, but it is certainly worth a look. 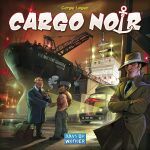 I was cruising around Kublacon looking for a game to play and I stumbled up on a table looking for more players for Cargo Noir. I had never really paid any attention to it before, but figured I should try it out. I had a good time. I really enjoyed the theme and the mechanics are solid. Worth a look. 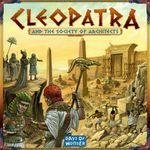 I have not played Cleopatra & The Society of Architects. It looks fantastic. The game seems pretty solid too. Definitely worth a look. I love this game. 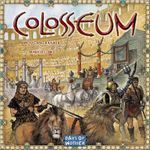 Colosseum is on the cusp of making my Top Ten, if only I could get it played more often. Great theme, wonderful mechanics. Worth a look! I used to own this game. There are plenty of things I liked about it. I just couldn't get past the blind bidding. I do not like that mechanic and it is central to this game. So, I traded it away. Still, it was worth a look. People love this one. I do not. I'm not a fan of the mancala thing and I don't like waiting for the start of my turn to make any plans. It was worth a look though. I am a fan of games like Wizard and Tichu. Gang of Four scratches the same itch for me. I have played a couple times, but I really need to give it another look. Memoir is based on a system I am really interested in. The WWII theme I find less compelling. I tend to like my war gaming in the WWI and earlier arenas. 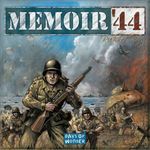 Still, I would certainly like to give Memoir 44 a look. Another deduction game I need to play. I love murder/mystery books and films. 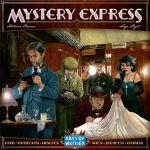 Mystery Express is absolutely worth a look. I love deduction games. The Abbey setting adds extra points for me too. Worth a look. I used to own this. I love the art. I didn't particularly enjoy the conflict aspect. So, I traded it for Ra. Still, it was certainly worth a look. This one is certainly worth a look. I really like Queen's Necklace. I like set collection games. The art and theme are really great. And I played it with my wife, the night we first met. Absolutely worth a look. The game which inspired my comment that led to this list. 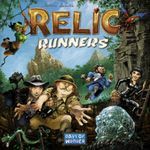 Relic hunting! Set collection! Hell yeah, this is worth a look! The Original: often copied, rarely bettered. 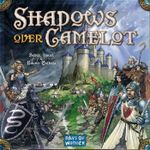 Shadows is tons of fun. I need to get it played more. Everyone should give Shadows another look. I have not played Small World. That is because I am an idiot. I have this unnecessary attachment to the original version, Vinci, another game which I have not played. Vinci just seems more serious and Small World more fluffy. 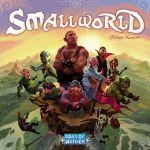 This is a completely bogus judgement on my part and I will certainly be giving Small World a look. Update: Played it. It was fine. I'm not generally attracted by the area-control stuff in games, but this one is mildly interestng. 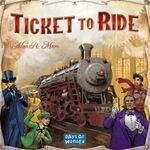 Ticket to Ride. I almost don't need to say anything else. It is my #4 game of all time. I have it ranked as a 10. It is my most played game. If any board game ever was worth a look, this is the one. 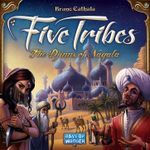 As for the expansions, I am almost completely unfamiliar with them. Someday I will give them all a look.